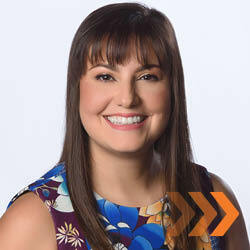 Overseeing our Texas Drop Anywhere Labs program, Fancy comes to Learning Undefeated from the Alliance for a Healthier Generation, where she served as Program Manager for schools in South and Central Texas, Oregon, Louisiana and Mississippi. Fancy has a passion for working with schools to bring new learning experiences to students, as evident in both her past professional and volunteer work. She has a M.Ed. and a B.S. degree from Texas A&M University-Kingsville and is a native South Texan. Fancy is a diehard Green Bay Packers fan and in her spare time, she loves to travel around the country participating in Ironman triathlon events and marathons.